It takes your breath away. It is stunning. For one man who has visited five times, he never fails to weep. Buried for 780 years, it is hard to imagine that it would ever see the light of day again. What is it? 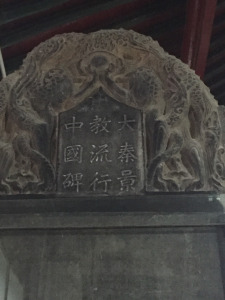 A 12 foot tall stone monument, called simply the Nestorian Stele. 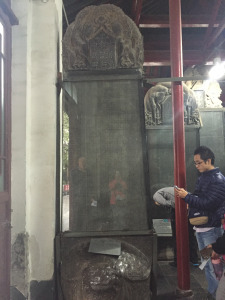 Housed in the Beilin Museum of the Chinese city of Xi’an along with many other treasures from the T’ang and other dynasties, the Stele is one of the most powerful evidences for the existence of Christianity in 7th century China.